Playschool & After-school service, Tooreen, Co. Mayo. 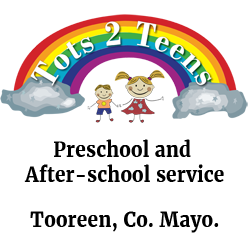 Please note that Tots 2 Teens will be closing for Christmas holidays on Friday, December 22nd. The service will reopen on Monday, January 8th.